When the brutal winter weather gets you — and your hair — down, turn to Davines Momo Hair Potion, my new hydration-saver. I have an overactive (a.k.a. oily scalp) but, just like almost every woman I know, my ends are – dare I say – in need of improvement. Especially in the cold. Dry, cracked skin and dry, split ends. How fun. 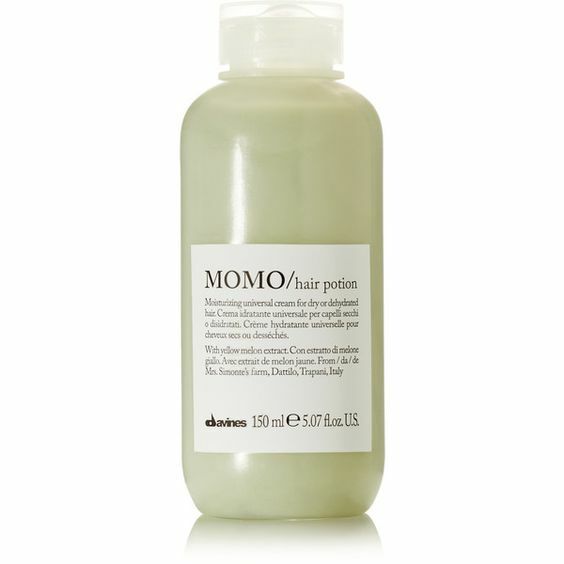 But Davines’ Momo Hair Potion is like the ultimate body lotion for parched ends. It moisturizes, helps with knots, and even tames the frizzies. I use it directly after the shower – a little goes a long way – don’t rinse out! Try it as a mid-day end reviver, too! Unlike the ultimate body lotion, this hair potion doesn’t weigh down my lovely locks. Instead, it makes them smooth and shiny and silky to the touch. The three S’s that every woman is after. Cannot imagine winter (or my mane) without my Davines Momo protector.